So does diabetes cause heart disease? The answer is an absolute yes! And how does it affect your health? Your heart is the most important organ in your body. I’d like to talk about what heart disease is and where it comes from. There are many coronary heart disease risk factors involved which I will get into. Heart disease is the leading cause of death in both men and women today. Unfortunately, I lost my mom to heart disease at age 65. How many people can relate to losing a loved one due to heart disease? Heart disease is an broad term for any type of disorder that might affect the heart. 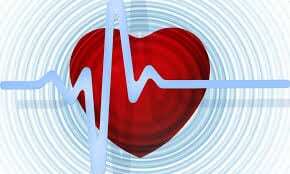 The definition of heart disease is defined as the same as cardiac disease, but different from cardiovascular disease. Heart disease refers to just the heart, while cardiovascular disease refers to disorders of the blood vessels and heart. The shocking number of people in the United States alone with heart disease is a whopping 26 million! Almost 1/4 of people in the U.S. die from heart disease. These numbers are way too high and we as a society have to take notice and take the bull by the horns before it’s too late. When my mom had her first heart attack it was a wake up call for me, but I didn’t take action at that time. By the third heart attack it was too late. You and I have to do something about it now. We have the choices to change our habits. Smoking: Smoking definitely raises your risk of developing heart disease. My mom smoked a lot and it contributed to her heart disease. I don’t smoke and never did. And if you have diabetes in addition to smoking, they both narrow your blood vessels so it’s very wise to quit smoking. Smoking can lead to many other problems such as lung disease and other complications that you do not want. Family history: Your family history could indicate a chance of developing heart disease too. You may have a higher than average risk of heart disease if one or more than your family members had a heart attack before 50. Overweight and belly fat: If you are obese, it affects many health issues especially diabetes and heart disease. Obesity hinders in controlling your diabetes. Belly fat in excess increases your risk more even if you are not overweight. I am trimming my weight and belly fat right now. High blood pressure: Your heart has to work much harder in order to pump blood if your blood pressure is too high which can lead to a heart attack. This also can raise your risk for other issues such as stroke, kidney disease, and vision problems. My blood pressure is controlled by medication. Cholesterol: Excess bad cholesterol (LDL) can build up to clog your arteries. Good cholesterol (HDL) aids in removing the bad cholesterol. Make sure your doctor does blood work frequently and checks these numbers. I have mine checked every three months to make sure. A1C: This is your blood sugar level over a three month period. While you’re testing your blood sugar every day, an A1C shows how high your numbers have been over the three month period. Your goal is to shoot for under 7.0. My level was 11.3 at one point and I have brought it down to 9.0. Ethnicity: African-American, Asian-American, American Indians are a few ethnicities that have a higher risk of heart disease because of obesity, diabetes, and high blood pressure. Age. Just getting older will increase the risk of and narrowed and damaged arteries. The first thing I’d like to point out is do whatever it takes to prevent heart disease. Don’t take your heart or any other body part for granted. It’s all about your attitude and your love for life and living it healthy and happy. Do you like to relax? Are you lazy and don’t want to exercise? Or maybe you just don’t care how much weight you gain and what the consequences are. Do people get on your case,because you’re overweight or you feel that people may not care because you’re not body beautiful? Ok, maybe this isn’t you, but it is for some of us. I know because I was in this place and it’s not a good place to be but neither is the emergency room at the hospital. So let’s think about changing now if you’re at risk. I woke up and changed because I didn’t want to be in that bad situation. So begin by developing new lifestyle habits. If you’re smoking, stop. If you’re an emotional eater, stop. If you’re not exercising, begin. If you drink alcohol, stop. Worried, stressed? Stop. Ok, enough stops. You get the idea. Now I know it’s easy to say stop these habits and a lot harder to actually stop them. But it is MUCH easier than stopping a heart attack, but you can do your best to prevent one. The longer time period that you have diabetes, the greater the risk of coronary heart disease and heart attack. The reason is that high blood glucose levels from diabetes can damage your blood vessels and damage the nerves that control your heart and blood vessels. Diabetes can do so many things to hamper your health and that includes your heart. 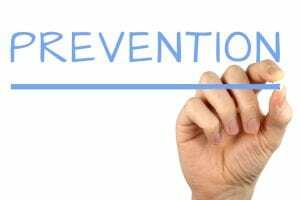 So if you have diabetes and any other risks for heart disease, then it’s time to stop any risk factors for either diabetes or heart disease. Together they are a terrible combination to say the least. By addressing your blood sugars and controlling your diabetes, you’ll hopefully be taking one of these diseases out of the equation. Start now by changing your eating habits. Take your health seriously, not for granted. Exercise each day even if only for 15 minutes. I do 30 minutes a day by bike riding and they gym. Exercise, eating healthy, and other lifestyle changes will help control your blood sugars and at the same time help your heart. Check your blood pressure and monitor your blood sugar frequently. I learned a lot about coronary heart disease when my mom was going through it. Once the coronary arteries start to narrow, they aren’t able to supply enough blood rich in oxygen to your heart. Decreased blood flow and increased plaque are the factors in coronary heart disease and heart attack. Shortness of breath can occur if you have discomfort in your chest or not. Other signs may include nausea,breaking out in a cold sweat, or feeling light headed. Discomfort in other areas of your upper body. Symptoms may include pain or discomfort in one or both of your arms, the neck, back, jaw or your stomach. The obvious answer is to dial 911! Don’t wait! Whether it;’s you or someone else with these symptoms call 911 immediately! 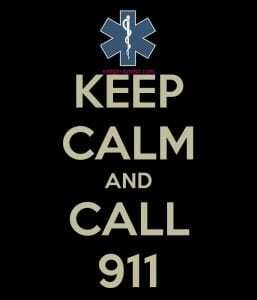 Is it better to drive yourself or someone having the symptoms to the hospital or call 911, it’s a no brainer. The EMT personnel on the ambulance are professionally trained for treatment on the spot and can also trained to revive the person’s heart. If for some reason you couldn’t get 911, then and only then get to the hospital immediately. I don’t want you to be in the dark about coronary heart disease and diabetes anymore. One is bad enough. You don’t need both as you can see. My purpose for this article was to share my experiences and hope that it will help you. Please take this seriously and I’d appreciate your comments below. I will respond quickly. Thank you for your time!